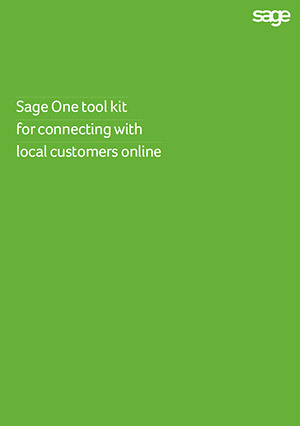 The Sage One ‘Toolkit for connecting with local customers online’. Take a look at our guide and learn how you can increase the reach of your retail business. Are you selling online? If your business makes online sales, how do you track these and record them into your accounts? Sage One could be the solution you need to help you manage your finances and stay on top of your cash position and easily track your offline and online sales.